Transporting containers from Houston’s many port and rail facility rakes an extra level of care. At Jetco, we’re committed to paying close attention to your specific needs and your cargo. Ensure the containers has been unladed, cleared customs and is ready for pick up; it is essential for all holds to be released before the container is ready for pickup. Understand the contents of the container. Heavier containers may need a tri-axle chassis. Out-of-gauge, open top and flat racks may require permits. Hazmat loads have special paperwork requirements. Ensure the driver has all the qualifications necessary to handle the load. Qualifications may include Hazmat certifications. 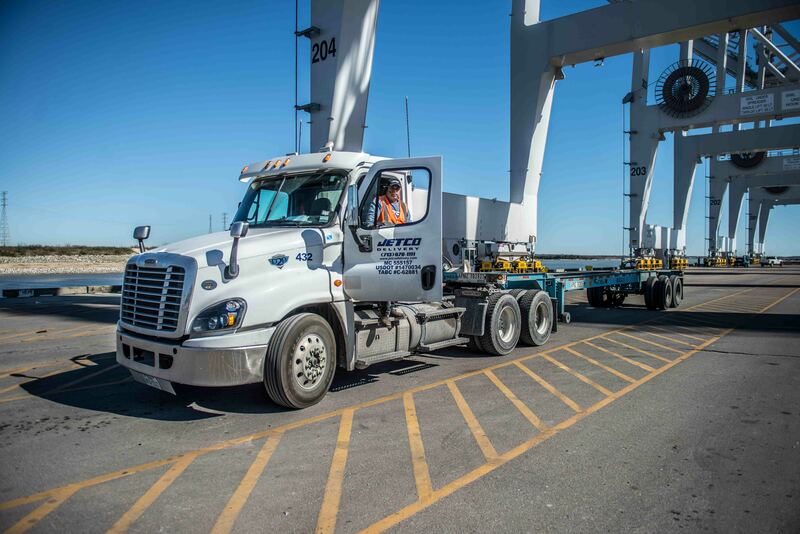 All of our drivers have their TWIC cards, which are needed to enter any port property. Questions? Contact our Intermodal team!